Being in charge of commercial buildings can be quite a job. Whether it’s cracked sidewalks, dirty HVAC filters, or dirty windows, the responsibilities can feel endless. If you’re smart, you’ll find dependable professionals who will be good allies for you (though that can be a formidable challenge in and of itself). However, we have good news for you: when it comes to your roof, you have help from one of the best roofing companies in Nashville. Tim Leeper Roofing is here to keep you covered—literally! We are commercial roofing experts with the experience, expertise, and dedication to handle all of your commercial roof repairs. 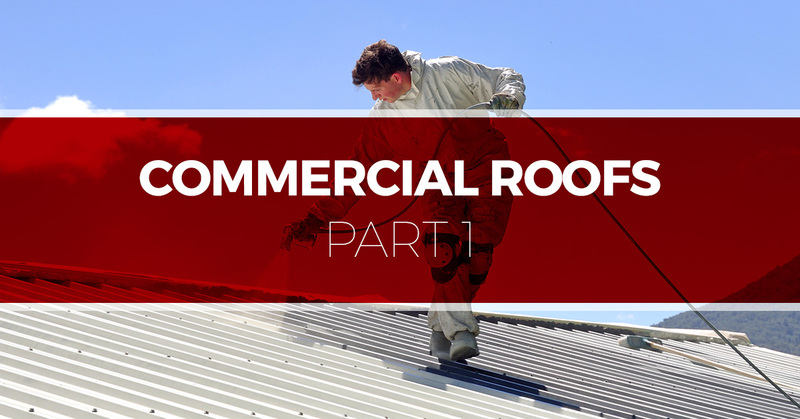 However, whether you have experience with commercial roofs or not, there is always more to learn. We want to take the next few blogs to explore some of the questions we’ve heard in the past. We hope they give you a starting point! My roof is coming up on replacement age. Should I get a white roof coating system? White roofs are popular because they are the best at reflecting heat. Where darker roofs absorb heat and transmit it into your building, a white roof sends a majority of that heat back up into the air. This can save you thousands of dollars in cooling costs. Your efforts to shrink your carbon footprint can earn you rebates from the government, too. Not only are white roof coatings effective, they have been developed for incredible toughness. They now last longer than many other types of flat roofs. We would be happy to sit down with you and discuss your roofing options and just how affordable a roof coating could be for your building! My roof is getting a bit old and springing a few leaks. Do I need to replace the entire roof? We understand that replacing a whole roof can be a significant hit to your budget. That being said, you should be saving for a new roof. In the meantime, we can scan your roof with infrared light that will reveal just how extensive the leaks are. We will be looking to determine if your roof has enough integrity to last with a few patches. We will show you our findings and discuss how to move forward. Once we know the extent of the leaks, and our roofing contractors have made a decision with you, we can go in and replace just the wet locations. This will save you the immediate cost of a total roof replacement, but it is a band-aid solution. Make sure you’re putting some money aside for a new roof, and you will be ready to face the future. At Tim Leeper Roofing, we are passionate about being the professionals who give you superior roofing services and true peace of mind. That is why we offer commercial roofing maintenance programs that provide your roofing system with consistent care. When you give your roof a maintenance program, you can rest assured that professionals are monitoring it for even the smallest problems. Our vigilance empowers us to address issues before they get out of hand. In the long run, this saves you money by avoiding costly roof repairs. The team at Tim Leeper Roofing will always put your interests first. For nearly two decades, we have been providing Nashville with residential and commercial roofing services. Our roofing contractors take great pride in all that they do and in helping to keep you safe and comfortable and your property looking great. Contact us today to get the best commercial roofing company in Nashville in your corner today!